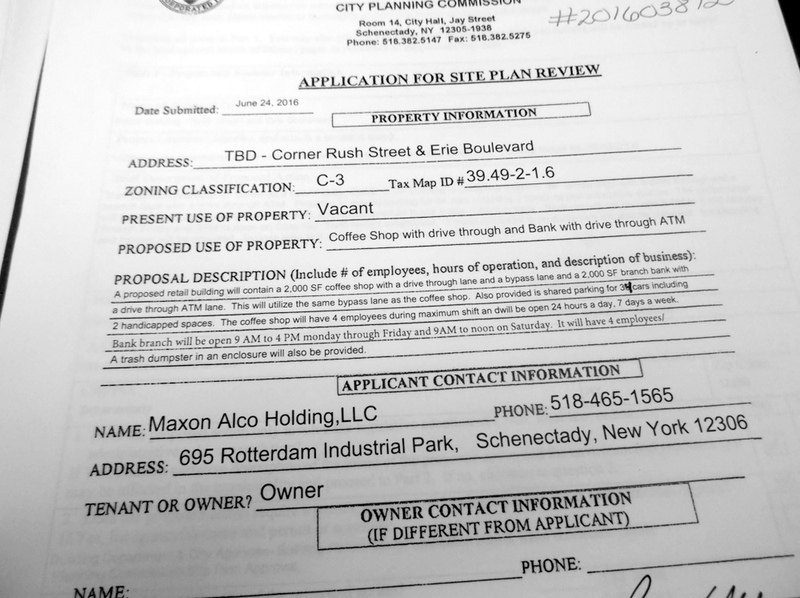 We are told the coffee shop hours are unknown, but the Site Plan application itself states the coffee shop will be open 24/7. And, while the bank branches may have traditional banking hours, its ATM drive-up lane will be available 24/7. “Majority of” has become a magic phrase, it seems. Mr. Hershberg says a majority of people would already be coming to the site for the casino or would live on the site. How about follow-up questions Commissioners? How much extra traffic are we talking about? How well are commuters going to deal with the not-yet-completed rotary? What does it mean to have a coffee shop and bank driveway empty directly into a rotary? How will that traffic blend into rotary traffic? Did Commission staff check to see if any other coffee shops have a similar location right ON a rotary? What about traffic coming from Front Street? Casino cheerleader Ruscitto “said she doesn’t believe the building would have an impact on nearby Front Street.” Based on what? Will people be using Front St. to get to the bank ATM and the coffee drive-thru? “Hershberg said he believes a majority of people would take the roundabout to enter and exit the site.” Why not use signage to prevent entry coming directly from Front St.? How many people living at Mohawk Harbor, who would otherwise exit from the new Harbor Drive instead be adding to traffic entering from the “corner” of the rotary rather than smoothly entering from Erie Blvd.? Rather than showing their independence after the Mayor dumped members who dared to ask questions, we get sleeping watchdogs overseeing the important issue of traffic movement and safety, even with no pressing deadline. One more thing: The agenda for this meeting was not online until after 10 AM yesterday, the day of the Meeting. But, staff rushed up the wrong agenda, and a day later, if you click to see the “July 20” agenda, you still get the “January 20” agenda. Telling staff of the problem yesterday got no reaction to a problem that would take a few seconds to correct. Clearly City Hall belongs to the Casino Gang. hviccaro July 21, 2016, 12:20 p.m. 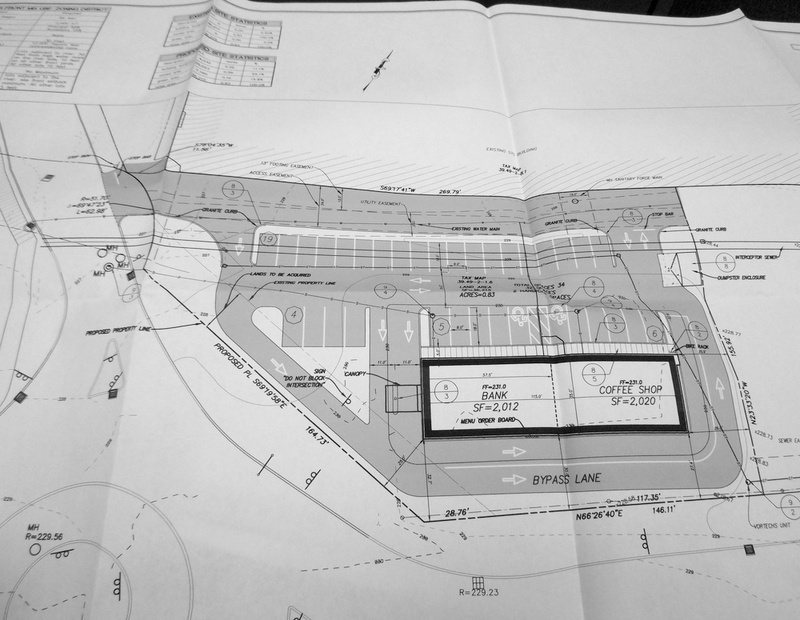 The hours in the site plan application will change based on the future tenant. The hours are not known at this time. So it is incorrect to say it will be open 24/7. That was clearly explained at the meeting last night. The traffic study for the Mohawk Harbor site is available to the public and numbers were written in The Daily Gazette in several stories. If you want a copy of the traffic impact study just ask and I will send it to you. Most customers are expected to be people who are already visiting, working or living there, according to the engineers. New customers would be approximately 60 a day, engineer Dan Hershberg said at the meeting. If you have questions or concerns about an article you can email me directly or you can reach out to city staff and the Planning Commission. The coffee shop will be open 24/7, unless it is more profitable for the operator to close a few hours a day. For planning commission purposes, they stated in their application that it “will be open 24 hours a day. 7 days a week,” [ http://tinyurl.com/coffee24-7 ] and they are granted the right to be open 24/7. 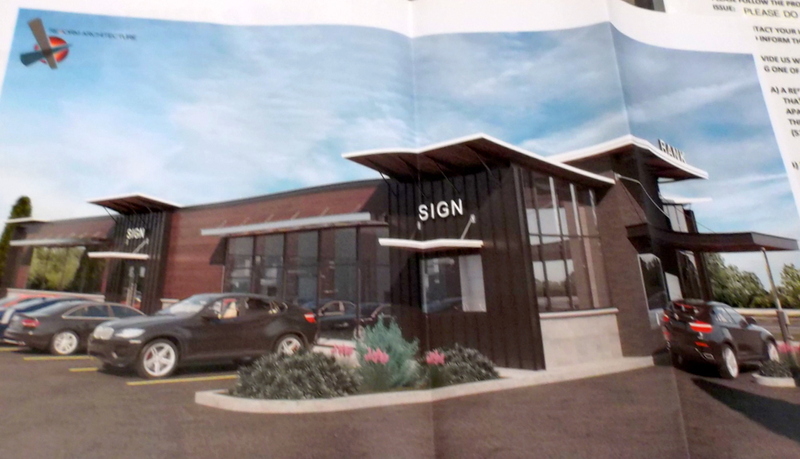 In your comment above, you point me to two traffic impact studies about the casino development PRIOR to any plans to have the coffee shop and bank located on the rotary. The question is how much added traffic there will be and how it will interact with rotary traffic. Your 60 a day number must be an error. Perhaps you mean 60 extra during one of the peak hours. When I asked a Commission staffer yesterday to explain the calculation that reduced the trips generated by 50%, she could not explain the terminology used in the projections. Perhaps the Gazette could link to the actual projections submitted for the new project. P.S. By the way, the Dunkin’ Donuts shops on Broadway and State Street in Schenectady are both open 24 hours a day. 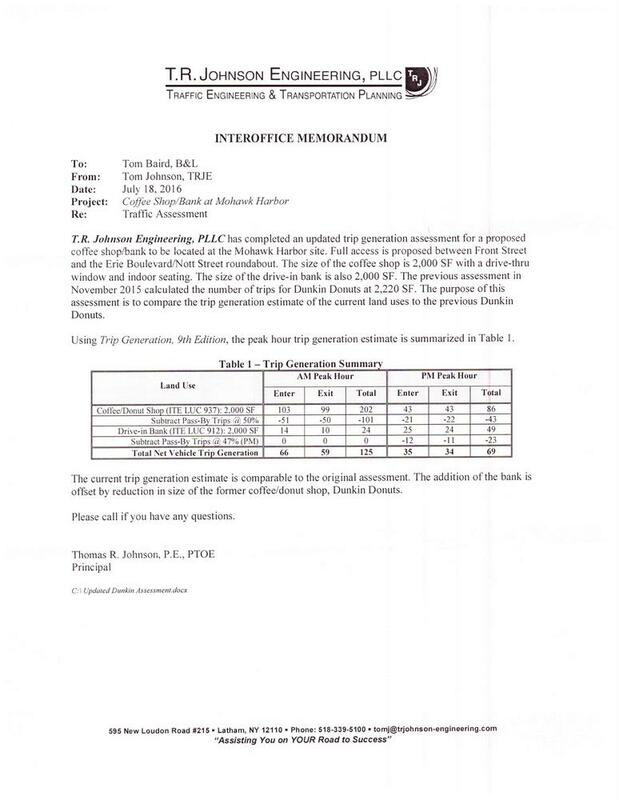 As I mentioned in my first comment, the comparison concluding “no impact” is made to the never-official Dunkin’-Donuts-only projection, not to prior overall Rotary or Mohawk Harbor trips without the Coffee Shop and Bank. Also, as I suggested in my second comment, the projection mentioned by Ms. Vicarro of “approximately 60 extra daily” is actually 66 at the AM Peak Hour Entering, with a total Entering and Exiting at that AM Peak Hour of 125. 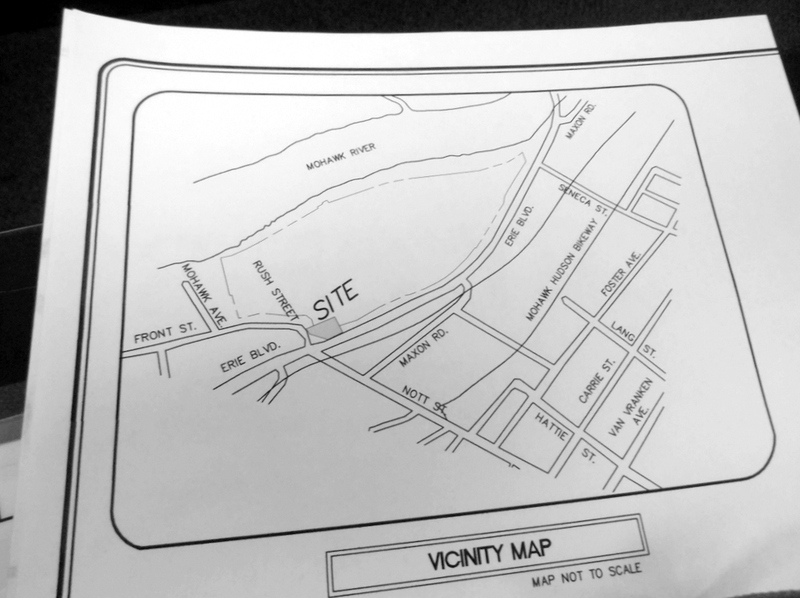 Below is the Traffic Assessment memo submitted to the Commission by the applicant’s expert.